Baptists – Though Baptists generally believe that organ and tissue donation are ultimately matters of individual conscience, the Southern Baptist Convention adopted a resolution in 1988 encouraging physicians to request organ donation in appropriate circumstances. Other Baptist groups have supported donation as an act of charity and leave the decision to donate up to the individual. Buddhism – Buddhists believe organ donation is a matter that should be left to an individual’s conscience and place high value on acts of compassion. The importance of letting loved ones know your wishes is stressed. Catholicism – Catholics view organ donation as an act of charity, fraternal love and self-sacrifice. Transplants are ethically and morally acceptable to the Vatican. The Church of Christ Scientist – Christian Scientists do not take a specific position on transplants or organ donation. 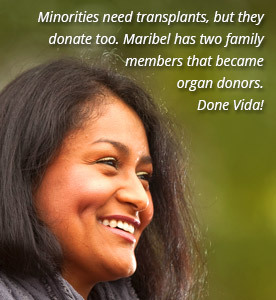 The question of organ donation is left to the individual church member. Episcopal – The Episcopal Church passed a resolution in 1982 that recognizes the life-giving benefits of organ, blood and tissue donation. Gypsies – Gypsies, on the whole are against organ donation. Their opposition is based on their belief in the after-life that all of the body parts must be intact because the soul maintains a physical shape. Hinduism – Hindus are not prohibited by religious law from donating their organs, according to the Hindu Temple Society of North America. This act is an individual decision. Islam – The religion of Islam believes in the principle of saving human lives. Jehovah’s Witnesses – According to the Watch Tower Society, Jehovah’s Witnesses believe donation is a matter best left to an individual’s conscience. All organs and tissues, must be completely drained of blood before transplantation. Judaism – Judaism teaches that saving a life takes precedence over maintaining the sanctity of the human body. All four branches of Judaism (Orthodox, Conservative, Reform and Reconstructionist) support and encourage donation. Lutherans – They call on members to consider donating organs and to make any necessary family and legal arrangements, including the use of a signed donor card. Moravians – The Moravian Church has made no statement addressing donation and transplantation. It is therefore, a matter of individual choice. Mormons – The Church of Jesus Christ of Latter-Day Saints considers the decision to donate organs a personal one made in conjunction with family, medical personnel and prayer. Pentecostal – Pentecostals believe that the decision to donate should be left up to the individual. Presbyterian – Presbyterians encourage and support donation. They respect a person’s right to make decisions regarding his or her own body. 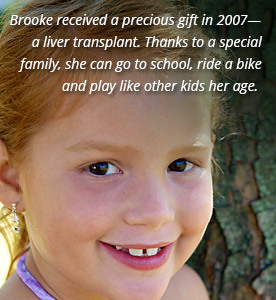 Seventh Day Adventists – Donation and transplantation are strongly encouraged by Seventh Day Adventists. They have many transplant hospitals. Society of Friends (Quakers) – Organ and tissue donation is believed to be an individual decision. The Society of Friends does not have an individual position on donation. 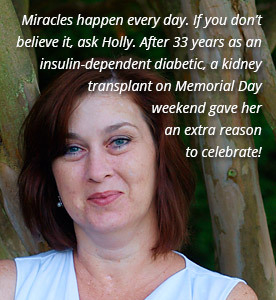 Unitarian Universalist – Organ and tissue donation is widely supported by Unitarian Universalists. They view it as an act of love and selfless giving. United Methodist – The United Methodist Church issues a policy statement regarding organ and tissue donation that stated they recognize the life-giving benefits of organ and tissue donation.